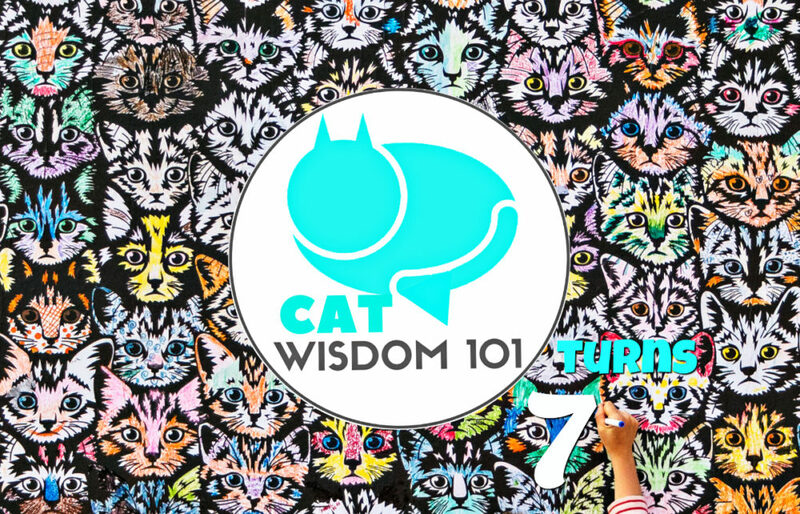 We’re celebrating 7 years of blogging at Cat Wisdom 101 with a few surprises. Read on or scroll on. It’s a milestone to be proud of but it’s been a wild ride to get here. If you’re thinking of starting a blog, I’d think twice. It’s a long slog to create a high authority site. Everything takes longer than expected unless you have a team and deep pockets. The world of cat blogging has changed drastically since we launched in 2011. Instagram and Pinterest didn’t exist then. Facebook wasn’t as mercenary. It was before the “mobile-friendly” move from larger screens, before hashtags, pop-ups, hacks, and a million new things to learn about. I didn’t know much or worry about Algorithms, SEO or WordPress dashboard despite having blogged for two years at another platform. Most bloggers back then took the plunge without building an archive before launching or investing in courses. It felt more authentic and organic. We were blogging for fun not profit. 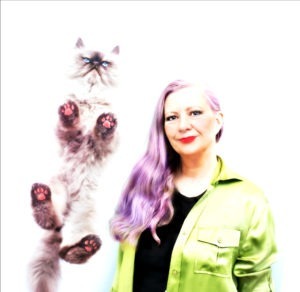 Our cat community was small enough to blog hop to visit each other regularly. The digital landscape was less noisy and crowded. Sure we made mistakes and still do. Not a day has gone by in seven years that I haven’t learned something. I could write book about all the awful mistakes I’ve made. All long-time bloggers have horror stories, moments of sheer panic and woe, but it doesn’t stop or define us. Today there are 30 million blogs in the U.S. alone. Everyone is scrambling harder than ever for eyeballs, subscribers, and followers to grow their numbers. It’s sadly all about numbers and pressure to do more, sell more, buy ads, leverage visibility, hire virtual assistants, auto-posting, be everywhere, sleeker, faster, vying for more clicks. If a blogger can’t keep up the pace with fresh original content, someone else will. That someone is often a person who doesn’t write the content themselves. Never mind the person may actually be a bot. The content might be scraped from another blog or worse stolen, verbatim. Needless to say with our large archive, it’s been compromised and has inspired copycats. Frankly, I’m re-vamping and editing some of our old evergreen content to be relevant and why reinvent the wheel? Every year, I create a completely new web design to stay current. No matter what, I keep going, and improving because I love cats and communicating with cat lovers. 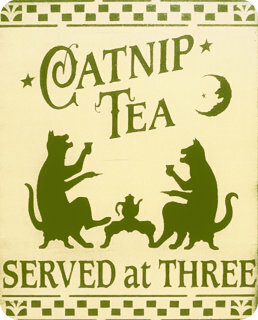 And I’m as insatiably curious as a cat. 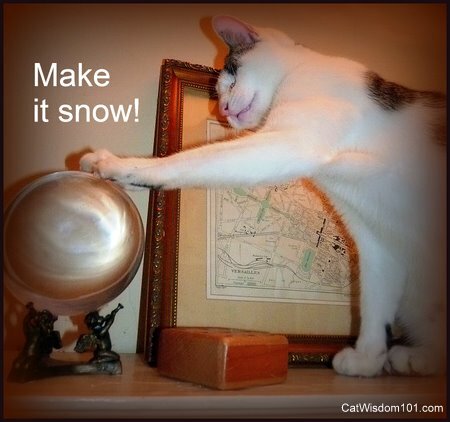 The early days of Cat Wisdom 101 with Layla and Odin from our first blog. 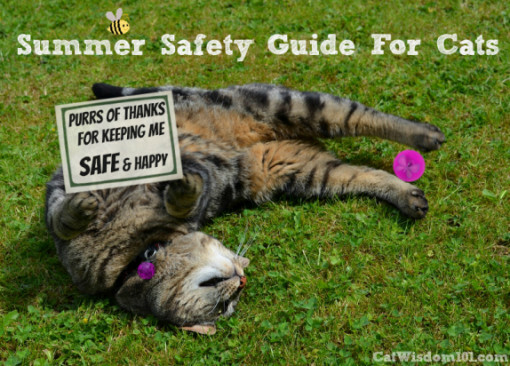 Every year I look back at what I’ve achieved at Cat Wisdom 101 and personally in my career as a cat expert, advocate and writer, but this year is different. 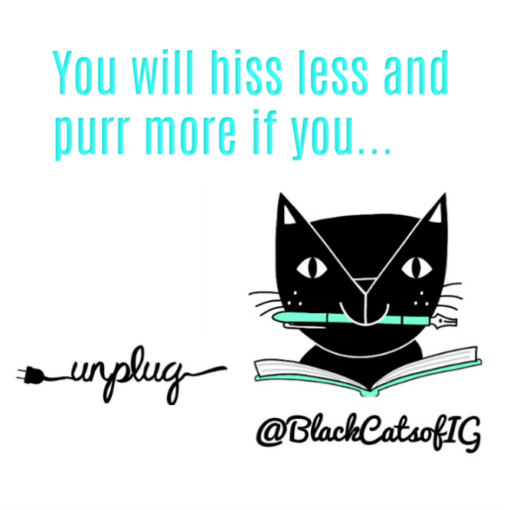 I’m still in unplug mode from an extended digital detox. What does this mean for Cat Wisdom 101? I honestly don’t know. I haven’t blogged at my other blog since the new year. 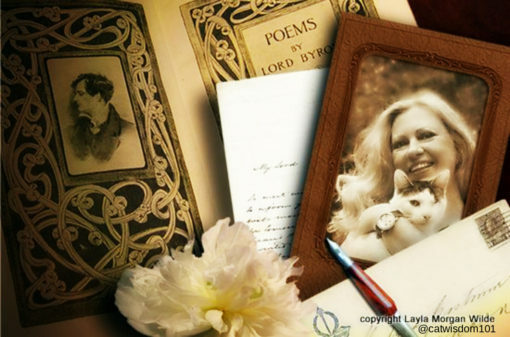 Seven years ago, I blogged daily at two blogs. Every single day. I couldn’t physically or mentally do it if I wanted to now. Mind you, I did publish a book last year and always have multiple projects on the go. It takes its toll and my brain is less nimble than five years ago. Every time I think of quitting, I tweak, reinvent or simply evolve instead. 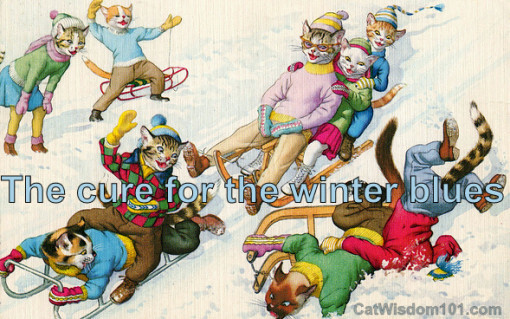 If cats have nine lives, Cat Wisdom 101 has lived seven. Welcome to how we are celebrating 7 years of blogging. To honor the vast body of work, I thought it might be fun to choose one favorite post from each of the eight years of blogging, but there are over 2000 posts on every possible category. You name it and millions of views later, chances are we’ve posted it. I tried doing random article searches by year and that turned into mind-boggling trip down memory lane. Never mind Google search images by year, topic or name of our cats. Holy mother of cats, I just couldn’t pick 8 favorites. So this is what I did. I picked a random month per year. When you click on the link, you can quickly see the scope from grid of the photos and post titles. I promise you’ll find something that will make your day. Thank you for reading, skimming or simply glancing at photos. Every visit is appreciated. Every social media share is a gift that paws it forward. Thanks being our friend and for loving cats. I don’t have my crystal ball handy, but I predict interesting changes ahead. Thanks for joining us on our adventure so far and for following us on social. Extra purrs for our long time subscribers. You know who you are. You have saved our furry behind more than once. And Clyde, Domino, Odin and Nou Nou. Angels Merlin, Radish, Gris Gris and Coco. The time machine begins right meow. In a hurry? Play kitty roulette. Pick one year at random. It might be your lucky day. Tell us if you find something special. 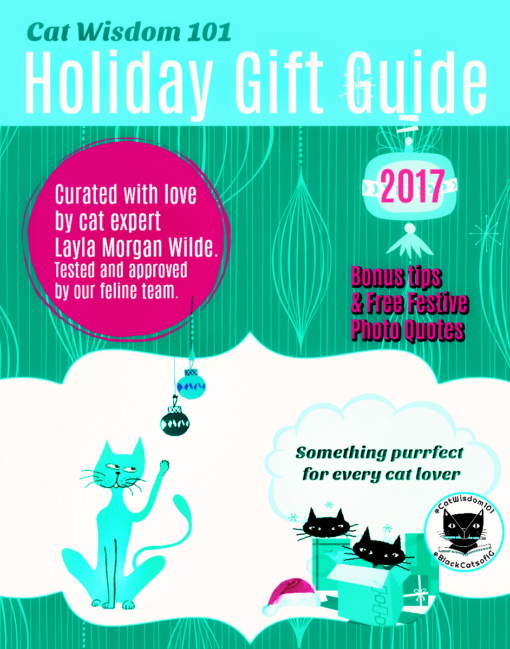 2018 Cat Holidays & Events Calendar with bonus cuteness. Since we’re almost half way through the year (can you believe it!?) here is the second half of the 2018 calendar. I hope it helps with your planning or blogging. Congratulations on your 7 years of blogging. I m a cat freak and possess cat pictures on my kitty underwear as well. I’ve read almost all blogs containing cats. I love your blogs and the awareness about black cats and its adoption that you spread! Much Love! Congratulations for seven years writing about cats.I always follow your posts.thanks. I’m grateful that you’ve stuck it out. You’ve made my life, and my cat’s life, better — as well as the millions of other cats you’ve helped and cat parents you’ve inspired over the years. Here’s to more joy in the coming year! Yes to more joy. I was thinking about you lately and will reach out. Concats on 7 years! We love your blog because it isn’t all commercial crap and numbers and slick and perfect and all that malarkey. Your blog is wonderful! It is clean and purrfect in its impurrfections at least for us. We are real everyday people with little time for living on the internet ,cell phone etc. so we pick where we go and what we invest our time in wisely and that is exactly why we are here at your blog. If we would all just stop all of the nonsense and pressure and just go back to the simple,informative, natural way of doing stuff we would reap benefits far greater than having a bazillion followers (stalkers),many just wanting to say something cruel or snarkey about stuff that they actually know little or nothing about. We love you and all who come here in good faith and with love for cats in their hearts. We will be back to read each post from each year in our own slow old fashioned way. MOL! Huge purrs and thanks for being there through thick and thin. Ah, if only I had a 1000 faithful readers like you, we’d rule the world or at least the cat world. It’s a double-edged sword because then we would be slick and flawless 😉 The question is how to be commercial without being commercial? 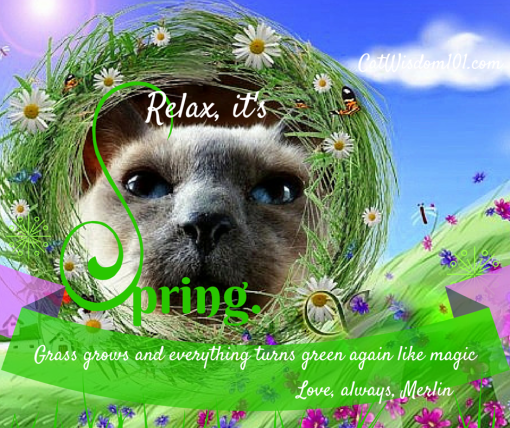 I think my favorite posts were about Merlin, I connected with that in a very deep way seeing how I had went through it with an elderly meezer too. It helped me move past some stuff I needed to. Not being a blogger but a reader, the SEO and such used to fly over my head, but after being around I understand it. You know so many I dont get how they do it and stay sane unless they are rehashing things or it is in some instances click bait. The ‘real’ blogs I enjoy visiting …. and yours is one of them. Readers can tell and good content speaks for itself. You might not be on top, you might not be the most popular, but if you look at it this way- would you rather have a bunch of fake or imaginary friends or real live ones who laugh and cry with you? And readers like bloggers havent met all the good ones, or like you all might not have time, we too have to pick and choose. I hope you stay around, but I would rather see you take time off and enjoy this world and your life and come back refreshed. Congratulations on seven years. The blogging landscape really has changed; thanks for hanging in there. We’ve enjoyed every post since we’ve known you and that’s been a long while……so many changes indeed – for all of us. The more we try to “keep up” the more stress it seems. Maybe it’s been a mistake that we haven’t tried to keep up or gain a wider audience but it’s also been easier to blog daily I think. 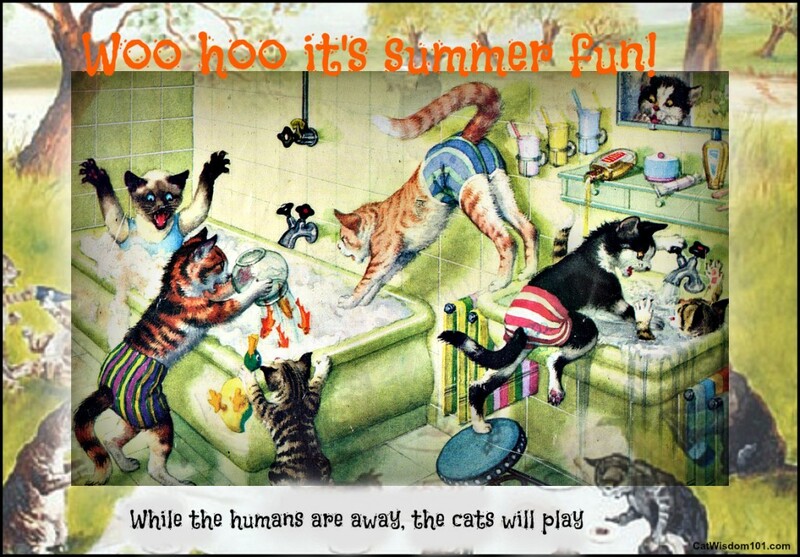 Thanks for all these years of fun – even the sadness taught all of us something about ourselves and our cats…..and after all, life is like that: full of emotions good and bad. Fun and frustration. Frantic activity and periods of rest. 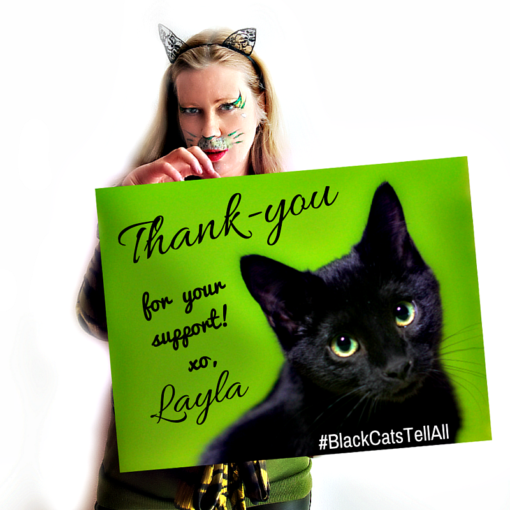 Here’s to many more years of Layla’s world – we’re all on board! You’ve accomplished so much in the years you’ve been blogging! My human is more optimistic, but then she came into blogging from being an editor in the traditional magazine world, and a lot of what she learned there applied to blogging, even if the technology was different. Also, congratulations on your Muse and special award wins! Thanks so much. I will post separately about the awards. I’m glad you remain optimistic. All publishing has changed and it means being innovative and nimble. Layla and the kitty gang, Congratulations on your 7th year of blogging. I love your blog, reading about your cats and of course winning in some of the giveaways I have entered. here’s to many more successful blogging years. Congratulations on 7 years of blogging! I am sorry that things keep changing in the blogging world and not for the better. I have been blogging for 4 years and I feel like I came in at the end. Seven yers is an epic achievement. Well done and we are so proud to know you. Happy Blogoversary from all of us, keep on rockin’ the blog world! Happy Blogoversary! We blog for fun…we’ll never be a site of authority about cats. We’re all about entertaining and having fun. Hey, Concats on your 7th Blogoversary! That’s just amazing! Concats on seven years. We’re celebrating number 10 this year. You’re so right about how blogging has changed. Now we have to worry about such things as GDPR, HTTPS, SEO, ROI and acronyms I don’t even know. We’re debating if we want to continue to call it quits although we still have a few years before our domain name expires. It’s tiring and everything takes longer these days even if we don’t make a new image for each SM platform. TW often says she wants her life back. Boy-0h-Boy, time certainly does fly. Congrats on your 7th year! So happy to have found your sites and tagged along in your blogging/social media adventure! As always, thank you so much for all you do for the cat community! You work so hard to connect with everyone & it’s appreciated! Wow, 30 million. Had. No. Idea. To do anything in this global, digital world. Cat blogging has really changed since we started in 2004 or 20055. And there’s no way we can keep up the pace of blogging daily any more. There’s a lot of work in reinventing a blog each year. You do work hard! A detox is a good thing. Hope it is helping. And congrats on 7 years.